José Gaspar, also known by his nickname Gasparilla (supposedly lived c. 1756 – 1821), is an apocryphal Spanish pirate, the "Last of the Buccaneers," who is claimed to have roamed and plundered across the Gulf of Mexico and the Spanish Main from his base in southwest Florida. Details about his early life, motivations, and piratical exploits differ in different tellings. However, the various stories state that he was active during the late 18th and early 19th centuries, the years coinciding almost exactly with Florida's second Spanish period (1783 – 1821). Though the pirate Gaspar is a popular figure in Florida folklore, there is no evidence that he actually existed. No contemporaneous mention of his life or exploits have been found in Spanish or American ships logs, court records, or other archives, and no physical artifacts linked to Gaspar have been discovered in the area where he supposedly established his "pirate kingdom." The earliest written mention of José Gaspar was in a 1900 promotional brochure for the Charlotte Harbor and Northern Railway, part of Henry B. Plant's railroad system that ran to Plant's Boca Grande Hotel on Gasparilla Island at Charlotte Harbor. Subsequent retellings of the legend are based upon this first fanciful account, including the accidental inclusion of Gaspar in a 1923 book on real pirates that has caused ongoing confusion about his historical authenticity. José Gaspar's legend is celebrated in Tampa, Florida during the annual Gasparilla Pirate Festival, which was first held in 1904. 3.6 "The Hand of Gasparilla"
The story of José Gaspar's life and career vary in different tellings, especially with regard to his origin. Most agree that Gaspar was born in Spain about 1756, served in the Spanish Navy until turning to piracy about 1783, and met his end in southwest Florida during a battle against the United States Navy about 1821. However, the retellings differ greatly in the details. In some versions of the story, Gaspar began life as a troubled youth who kidnapped a young girl for ransom. Captured and given the choice between prison and joining the navy, he choose to go to sea, where he served with distinction for several years before leading a mutiny against a tyrannical captain and fleeing to Florida with a stolen ship. Other versions of the story state that Gaspar was a nobleman who achieved a high rank in the Spanish Royal Navy and became a councilor to King Charles III of Spain. He was popular in the court, but when he spurned one lover for another, the jilted lady levied false charges against him, often said to involve the theft of the crown jewels. Unjustly facing arrest, he commandeered a ship and fled, vowing to exact revenge on his country. In still other versions, Gaspar was a brilliant Spanish admiral of questionable character who actually succeeded in stealing the crown jewels. When his theft was discovered, he seized the "prize vessel of the Spanish fleet" with a group of loyal followers and abandoned his wife and children to flee across the Atlantic Ocean. In all versions, the renegade settled along the virtually uninhabited southwest coast of Spanish Florida around 1783 and turned to piracy aboard his ship, usually referred to as the Floriblanca. Gaspar established his base on Gasparilla Island and was soon the feared scourge of the Gulf of Mexico and the Spanish Main, plundering dozens of ships and amassed a huge cache of treasure in the period coinciding with the second Spanish rule of Florida. Most male prisoners would be put to death or recruited as pirates, while women would be taken to a nearby isle (called Captiva Island for this reason), where they would serve as his concubines, become the wives of his pirate crew, or await ransom payment from their families. Different versions of Gaspar's legend relate different episodes in his piratical career. One of the most famous involves a Spanish princess (or Mexican, depending on the version) named Useppa who was a passenger on a captured ship. The noble woman rejected the pirate's advances until he threatened to behead her if she would not submit to his lust. Still she refused, and he killed her in a rage (or alternately, because his crew demanded her death). Gaspar instantly regretted the deed and took her body to a nearby island, which he named Useppa in her honor, and buried her himself. Some versions identify the lady with Josefa de Mayorga, daughter of Martín de Mayorga, viceroy of New Spain from 1779 to 1782, and contend that the island's name evolved over time, though no evidence has been found in the Viceroy's surviving records to support the claim. Similarly, Sanibel Island is said to have been named by Gaspar's first mate, Rodrigo Lopez, after his lover whom he had left back in Spain. Empathizing with his friend's plight, Gaspar eventually allowed Lopez to return home. Some versions of the legend claim that Gaspar entrusted Lopez with his personal log, which has been cited as a source for information about the pirate although it has never been produced. Gaspar has been associated with various other pirates, both real and not. The (real) alleged pirate Pierre Lafitte has been mentioned as a regular plundering partner of Gaspar, with some versions of the story stating that Lafitte barely escaped the battle in which Gaspar was killed. This is unlikely, as there is no record of Lafitte spending time on the southwest Florida coast, and he died in Mexico before Gaspar's supposed demise. Gaspar has also been associated with Black Caesar and "Old King John", other semi-legendary pirates for whom there is little to no historical evidence. Most versions of the legend agree that José Gaspar met his end in late 1821 or early 1822, soon after Spain transferred control of the Florida Territory to the United States. Gasparilla had decided to retire after almost 40 years of plunder, and he and his crew were dividing his vast treasure at his base on Gasparilla Island. During this process, the lookout spotted what looked like a fat British merchant ship, an opportunity too good to pass up. But as they approached in the Floriblanca, the intended victim raised an American flag, revealing that this was no merchant vessel, but the United States Navy pirate hunting schooner USS Enterprise. In the battle that followed, Gaspar's ship was riddled by cannonballs and in danger of sinking. Rather than surrender, he supposedly wrapped an anchor chain around his waist and dramatically leapt from the bow, shouting "Gasparilla dies by his own hand, not the enemy's!" Most of his surviving crew were captured and subsequently hanged, but a few escaped. In some versions of the story, one of these survivors was John Gómez, who would tell the tale to subsequent generations. Though his story has been retold in many forms since its first appearance in 1900, there is no evidence that José Gaspar ever existed. Research in Spanish archives have turned up no mention of his early life, his presence in the Spanish royal court, or his career in the Spanish navy. Searches of contemporary American newspapers have found no mention of the name "Gaspar" or "Gasparilla" or of a pirate ship called Floriblanca, and searches of United States Navy archives have found no mention of Gaspar in ships' logs or in official court records of the hundreds of piracy trials held during the era when he was supposedly the most feared pirate on the Gulf Coast. While the USS Enterprise was assigned to the West Indies Squadron tasked with suppressing piracy in the Caribbean, it is documented to have been in Cuba in December 1821, not in Charlotte Harbor, where Gaspar's last battle is said to have taken place. There is also no physical evidence to support Gaspar's existence. Though some versions of the story claim that Gaspar's "regal" home base on Gasparilla Island consisted of a dozen or more buildings plus a tall watchtower built atop an ancient Calusa mound, no artifacts or evidence of his "pirate kingdom" has ever been discovered. Also, though professional and amateur treasure hunters have conducted many searches for Gaspar's fabled treasure cache and his sunken ship over the years, no trace of either has been found anywhere in the Charlotte Harbor area. In fact, there was little documented piracy on Florida's west coast during Gaspar's supposed heyday because there were no established settlements in the area and thus few merchant ships carrying the easily liquidated cargo favored by pirates. 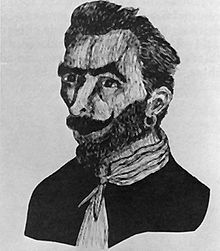 John Gómez (also known as Juan Gómez and Panther John) was a semi-legendary but real person who lived in a shack with his wife on otherwise uninhabited Panther Key near Marco Island in the Ten Thousand Islands region of Southwest Florida in the late 1800s. He was well known along Florida's Gulf coast as an expert hunting and fishing guide, boat pilot, and an eccentric teller of tall tales, mostly about himself. His self-reported age and birthplace varied, even on official documents. In the 1870 United States Census, he is listed as having been born in 1828. However, during the 1880 US census, Gómez claimed to have been born in France in 1785; in 1885, he told state census takers that he had been born in Corsica; and when asked for the 1900 US Census, he claimed to have been born in Portugal in 1776. Meanwhile, various contemporary letters and news articles report that Gómez claimed at different times to have been born in 1778, 1781 or 1795 in either Honduras, Portugal, or Mauritius. Most of his supposed birth years would have likely made him the oldest person in the world before his death. Gómez's uncertain birth was said to be just the beginning of an exceedingly long and adventure-filled life. He claimed to have seen Napoleon as a youth in France, came to the United States as a cabin boy on a merchant ship in the early 1800s, served as a scout for the U.S. Army during the Seminole Wars, served as a coastal pilot for the U.S. Navy during the Civil War, did some filibustering (and perhaps some pirating) in Cuba and Honduras, and finally escaped to Florida from a scheduled execution in a Cuban prison. While none of these stories about his early life have been verified, Gómez is documented to have briefly lived in various locations across west and southwest Florida (including the Florida Everglades, Key West, Tampa. Pass-a-Grille, and the Ten Thousand Islands) from around 1870 until the end of his life. Besides claiming that he been present at most of the major events over 100 years of southwest Florida history, Gómez told many stories that demonstrated his skills as a hunter, tracker, and self-reliant frontiersman in the semi-tropical wilderness. Gómez's stories were shared in very informal settings, often on fishing trips or around a campfire during hunting expeditions with his clients. They are documented only in a few contemporary personal letters, news articles, and obituaries written upon his death, with the details differing according to the memories of his listeners. However, though many versions of the Gaspar legend claim that Gómez was the last surviving member of the legendary pirate's crew, no contemporary account of Gómez's life or tall tales mention the name Jose Gaspar. The connection was first made soon after his death in 1900, when a promotional pamphlet for a Charlotte Harbor resort hotel (see below) claimed that the late John Gómez was an important source of its tale of the pirate Gasparilla. Since then, many elaborate and often conflicting stories have been told regarding Gómez's alleged exploits alongside Jose Gaspar, with some claiming that Gómez was the pirate's cabin boy, others stating that he was the Floriblanca's first mate, and some claiming that he was Gaspar's brother-in-law. Some versions of the legend also claim that, despite the fact that he was so poor that he petitioned the Lee County Commission for a $8 per month stipend, Gómez knew the whereabouts of Gaspar's vast treasure cache supposedly hidden in the Charlotte Harbor area. 1774 map of Charlotte Harbor featuring the names Gasparilla, Captiva, etc. before Jose Gaspar's supposed arrival in the area. The first written account of José Gaspar comes from a 1900 advertising brochure distributed by the Charlotte Harbor and Northern Railway, a part of Henry B. Plant's railroad system that ran to Plant's Boca Grande Hotel on Gasparilla Island, near the mouth of Charlotte Harbor. The brochure was used as an advertising leaflet for the Boca Grande Hotel and was freely distributed to guests. Retelling and extensively elaborating upon tales attributed to the recently deceased John Gómez, it fancifully related the legend of José Gaspar ("The Last of the Buccaneers") and mentioned Gómez as a member of his crew. The promotional pamphlet explained that several of islands in the Charlotte Harbor area were named by Gaspar: Captiva Island was said to be where his captives were held, Sanibel Island was supposedly named after Gaspar's love interest, and Gasparilla Island was the home base of its namesake pirate. "Taking the best of everything when a capture was made, he chose the best of the islands in Charlotte Harbor for his own secret haunts," the brochure declared. Finally, the brochure claimed that the buccaneer's vast and undiscovered cache of buried treasure still lay hidden somewhere around Charlotte Harbor, in the vicinity of the Boca Grande Hotel. Though presented as fact, there is no evidence to support the brochure's claims. For example, local place names supposedly inspired by José Gaspar appeared on maps drawn long before the pirate was said to have arrived in the area. Documents from the 1700s mention that Gasparilla Island was named for Friar Gaspar, a Spanish missionary who visited the native Calusa in the 1600s. In addition, no artifacts or other physical evidence of Gaspar's home base have ever been found on the islands of Charlotte Harbor. In 1923, a Boston historian named Francis B. C. Bradlee received a copy of the Boca Grande Hotel brochure from Robert Bradley, then president of the Charlotte Harbor and Northern Railway Company. Assuming that the story of Gasparilla as described in the pamphlet was authentic, Bradlee included José Gaspar in a book that he was writing about piracy, Piracy In The West Indies And Its Suppression. Bradlee included details and claims which were clearly incorrect, some of which were not included in the original brochure. For example, he wrote that a "burying ground" containing the "bleached bones" of Gaspar's many victims had recently been discovered on Gasparilla Island, that a nearby 50-foot tall "burial mound" built by a "prehistoric race" had been excavated and found to be full of gold and silver artifacts along with "hundreds of human skeletons", and that a dying John Gómez had confessed to witnessing Gaspar's murder of a "Little Spanish princess" and sketched a map that led searchers to her body. However, none of these claims were true, as no treasure, murder victims, or other physical trace of Gaspar's exploits has ever been found in the area, and John Gomez drowned in a boating accident, making a deathbed confession implausible. Bradlee also claimed that the nickname "Gasparilla" meant "Gaspar, the outlaw" in Spanish when it is actually a feminine form of "little Gaspar", an unlikely nickname for a fierce pirate. Despite the obvious errors, Bradlee's book was used as a source for later works such as Philip Gosse's Pirates' Who's Who and Frederick W. Dau's Florida Old and New, the authors of which also took Gaspar's authenticity for granted. Over the next few decades, several more books about pirates or Florida history erroneously included José Gaspar / Gasparilla as a real historical figure, leading to continuing confusion about the authenticity of his story and repeated attempts to find his lost treasure. Inspired by the story of Gaspar, the city of Tampa organized a Gasparilla-themed May Day festival in 1904. The event proved popular, and several local leaders organized a krewe called Ye Mystic Krewe of Gasparilla (YMKG) to run the festivities, which became known as the Gasparilla Pirate Festival. In 1936, YMKG, commissioned Tampa Tribune editor Edwin D. Lambright to write an authorized history of the Krewe. The volume included a version of the legend of José Gaspar in which he was a more "respectable" and "courtly" pirate who resorted to violence only when absolutely necessary. Lambright claimed that his account was supported by "unquestionable records", including a diary written by Gaspar himself and secreted to Spain by a member of his crew, perhaps Juan Gomez. However, the diary was said to have been lost, and no other evidence was disclosed. Whether Gasparilla, the pirate, actually existed or not is a moot point. The legend exists, and that's what matters. The story of Gasparilla and his pirates has lent a certain flair of mystery and adventure to Florida's West Coast since the late 1800s. And on that legend, Ye Mystic Krewe of Gasparilla was founded 100 years ago. In 1949, Fort Myers author Jack Beater published a mass-market paperback version of the Gaspar legend called The Gasparilla Story. Though written in the style of a light adventure novel, the narrator claimed that the story was true and had been verified with a "mouse-eaten Cuban manuscript" and an old map found in a used book store, neither of which were made public. It was republished several times, including in 1957, when Dell Publishing released a version revised by MacLennan Roberts under the title Sea Avenger. Beater published several additional books about Gaspar and other Florida pirates; some marketed as fiction, some as non-fiction, and some as a mix of guide book and tale tales. His works and the writings of other local authors with similar themes served to further expand the story of Gaspar and spread it to a wider audience. In the 1930s, construction worker Ernesto Lopez showed his family a mysterious box that he claimed to have found while working with a repair crew on the Cass Street Bridge in downtown Tampa. According to family legend, the wooden box contained a pile of Spanish and Portuguese coins, a severed hand wearing a ring engraved with the name "Gaspar", and a "treasure map" indicating that Gaspar's treasure was hidden near the Hillsborough River in Tampa. In 2015, Lopez's great-grandchildren rediscovered a box in their late grandfather's attic containing the items Ernesto Lopez had found plus what appeared to be his wedding photo. The family brought the box to the attention of a local reporter, whose TV news report on the strange find was picked up by several national and international news outlets. However, upon examination, experts at the Tampa Bay History Center determined that the coins were likely a collection of 20th century coins plus souvenirs from an early Gasparilla parade and the map was a plat map from the 1920s with local streets, businesses, and landmarks from that time clearly depicted. The origin of the hand remained a mystery, though the curator of the history center opined that it might be a mummified monkey hand. In 1904, members of the Tampa business elite staged a theatrical pirate "invasion" of their city based on the increasingly popular figure of Gasparilla during the city's previously sedate May Day celebration. Under the guise of "Ye Mystic Krewe of Gasparilla", an organization modeled after the New Orleans Mardi Gras parade krewes, the invaders donned pirate costumes and rode through the streets on horseback. The event was a hit, and the Krewe planned an even more elaborate spectacle the next year, when all 60 of Tampa's cars were paraded through downtown. The first seaborne "invasion" came in 1911, and has been repeated almost every year since. Tampa now hosts many Gasparilla-themed events from January to March, but the focal point is still an "invasion" by José Gaspar and his crew, which currently takes place on the last Saturday in January. Members of Ye Mystic Krewe of Gasparilla, accompanied by a flotilla of hundreds of private boats, sail across Tampa Bay to downtown Tampa on the José Gasparilla, a 165' long "pirate" ship which was specially built for this purpose in 1954. The mayor of Tampa then hands over the key of the city to the pirate captain and a "victory parade" ensues down Bayshore Boulevard. Dozens of other Krewes have joined the festivities over the years, which has grown into of one of the largest parades in the United States. An average of over 300,000 people attend the event, which contributes over $20 million to the local economy. In addition to the multitude of events surrounding the Gasparilla Pirate Festival, the names "Gaspar" and "Gasparilla" are used by many businesses, organizations, and events in the greater Tampa Bay area, while others have names inspired by the mythical pirate. One notable example is the Tampa Bay Buccaneers of the National Football League, who began play in 1976 with a nickname inspired by the well-known local legend. Another sports-related example is the Gasparilla Bowl, a college football bowl game once played in Tropicana Field as the "St. Petersburg Bowl" that moved to Tampa in 2018. ^ a b c d e f g h i j k l m n o p q r s t u v dAns, André-Marcel (1980). "The Legend of Gasparilla: Myth and History on Florida's West Coast". Tampa Bay History. Tampa, Florida (Fall/Winter 1980). Retrieved May 20, 2012. ^ a b c d e f g h i j k l m n o p Bickel, Karl A. (1942). The Mangrove Coast. Coward McCann, Inc.
^ Bradlee, Francis Boardman Crowninshield (1923). Piracy in the West Indies and its suppression. Salem, Mass. : Essex Institute. ^ a b c d Montgomery, Ben (24 January 2014). "Chasing Gaspar". The Tampa Bay Times. Retrieved 15 September 2016. ^ a b c d Spata, Christopher (17 January 2019). "Is Gasparilla's treasure real? We went with these friends to find it". Tampa Bay Times. Retrieved 18 January 2019. ^ a b Ye Mystic Krewe of Gasparilla (2004). Ye Mystic Krewe of Gasparilla: The First One Hundred Years. Tampa: Hillsboro Publishing. ^ a b c d e f g h Rockwell, C.H. (4 August 1900). "The Death of John Gomez". Forest and Stream. Forest and Stream Publishing Company. LV (5). Retrieved 28 January 2018. ^ a b c d Woodward, Craig (9 April 2010). "The Legend of Gasparilla: The Real Facts". Coastal Breeze News (Marco Island). Archived from the original on 2016-08-29. Retrieved 2018-09-09. ^ a b c Caignet, Carrie (2012). "Demystifying the lives of Panther Key John Gomez: From Pirate to Pilot" (PDF). Florida Maritime. ^ Belleville, Bill (11 October 1992). "On the Trail of Gaspar". Orlando Sun-Sentinel. Retrieved 15 September 2016. ^ a b Morgan, Philip (28 April 2015). "Tampa family finds a good pirate story in the attic". Tampa Bay Times. Retrieved 24 August 2015. ^ "Tampa family finds 'pirate treasure' in grandfather's attic". Dailymail.co.uk. Retrieved 22 November 2018. ^ a b Hall, Kenneth (19 January 2012). "Seed for Gasparilla was planted in Tribune's old newsroom". The Tampa Tribune. Archived from the original on 2 February 2014. Retrieved 13 May 2016. ^ Gasparillapiratefest.com Archived 2006-05-10 at the Wayback Machine Retrieved April 3, 2006. ^ "Bad Boy Mowers Signs on as New Bowl Game Title Sponsor Bowl Game Changes Name to Bad Boy Mowers Gasparilla Bowl". Retrieved August 23, 2017. This page was last edited on 13 February 2019, at 21:33 (UTC).